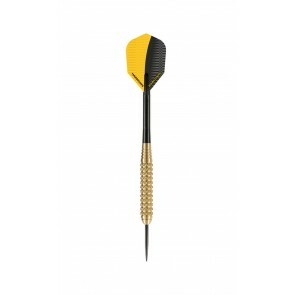 Darts are available in many different weights. 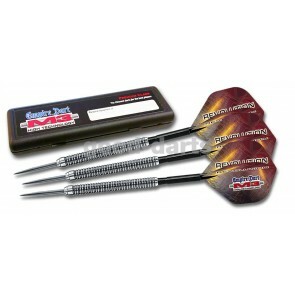 Darts are not just about design, but also many other important features, such as the correct weight of the darts. The weight of darts is first differentiated between steel darts and soft darts (electronic darts). This distinction has a marginal effect on the recommended number of darts grams. Which dart weight are you looking for? What weight should a dart really have in general? Opinions may vary. However, it can be said that for soft darts and steel darts, general averages for the number of grams for the “ best " weight that will give most darters a good hit rate. Soft Dart Arrows: What gram are the best? Which parts of the dart have an effect on the weight? After buying: Can the dart weight still be changed? My Darts: Which weight is best for me? SOFT ARROWS: WHAT GRAM ARE THE BEST? The weight of the Soft Darts is lighter than the Steeldart. The main reason for this is the impact on the electronic board. If the darts are too heavy, they may damage the board. Most dart players use soft darts weighing 18 grams. 18 grams is a very good weight for darters especially for beginners to get started. Most E-Darters stay true to this weight and later make only minor adjustments through minor dart changes that have a minimal impact on weight and flight behavior. Below you can immediately find the weight with 18 grams of darts. 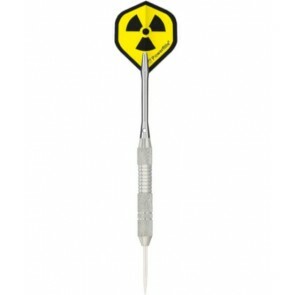 The weight of Steeldarts is generally higher than the electronic Dart. The darts are better stuck in the disc due to their heavy weight, as the tip can penetrate deeper into the sisal material of the steel dartboard due to the heavy dart. The most commonly used steeldart weight ranges from 22 to 27 grams. For beginners we recommend a weight of at least 23 and a maximum of 25 grams for the Steeldart. 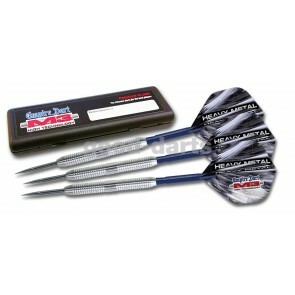 23 to 25 grams steel dart,is a right weight for a beginners to start . 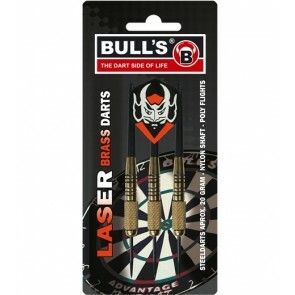 Without proper training, playing with heavier darts can be fast, which of course also adversely affects the hit rate. With some experience, it quickly turns out which is the best weight for the Steel Dart. Maybe you can immediately find the optimal weight with 23 to 25 grams Steeldarts. The more weight a Steeltart has, the more power must be spent on the throw. 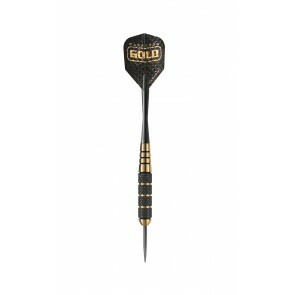 The benefit of Heavy weight Steelart with 26 or 27 grams is that the dart tip penetrates deeper into the board and so rebounds can be minimized. WHICH PARTS OF THE DART ARROW APPLY THE WEIGHT? Three of the four major elements of a dart are marginally responsible for weight. The Dart Barrel is the grasp of the dart. Here is the most weight of the dart. The Dart Shaft connects the barrel and the Dart Flight. Depending on the material, the shaft may have a relatively high weight. Plastic have the least impact on the weight of the darts. The Darts Tip should get stuck in the board and hold the weight of the dart in the disc. Even it affects only a small proportion of the weight of the darts. The total weight of the dart is mostly controlled by the barrel. All materials are brass, aluminum and tungsten alloys. AFTER PURCHASE: CAN THE WEIGHT WILL BEEN CHANGED? What can you do if you want to be able to change the weight a bit after making the purchase and a few. 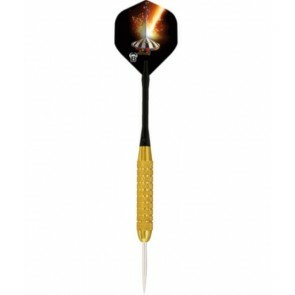 Subsequently the higher weight of the dart can get add on to the weight of your darts . With this extra component, you can add another gram to your dart by simply mounting the module between barrel and shaft. PROFESSIONAL ARROWS: WHAT WEIGHT DOES THE PROFESSIONAL PLAYERS USE? 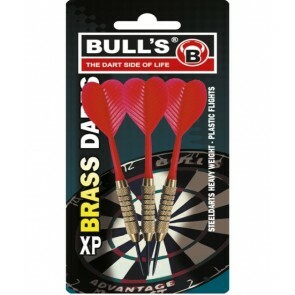 Even the PDC Series Professional Darters are not quite sure how many grams the darts should have for the right weight. It is striking that Phil Taylor plays the highest weight in the league, and thus probably has the biggest bucks in his world championship throw. The PDC only plays the Steeldart in the tournaments. Here is the list of the top PDC darters and the preferred tournament darts weight. PDC Darter: What weight do Phil Taylor and Co. used? YOUR DARTS: WHAT WEIGHT IS THE BEST FOR YOU? 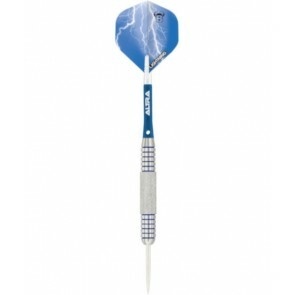 The weight that best suits your darts depends mainly on your throwing technique and the darts' airline. Once you find that you are making a direct and straight throw towards the target, it will make sense to get a heavy dart. The heavier weight ensures that the dart's trajectory remains as straight and stable as possible. A well-known player on the board is world record champion Phil "The Power" Taylor. He throws with darts that weigh 26 grams and are adapted to his individual playing style. If you notice that your dart's trajectory is more ballistic and indirect (arc lamp), models that are a bit lighter are suitable. In conjunction with the flights you choose, you will be able to create an attitude that will allow for an accurate meeting. It is important that the darts have a low overall weight for an indirect throw, otherwise the effort will be too high and a sustained game will be made impossible. The personal physical conditions are also to be considered. For women and children, we recommend darts with less weight, as there is correspondingly less energy to used.